A fantastic field of 11 will travel 1 1/8 miles at Oaklawn Park on Saturday in the $1 million Arkansas Derby (G1). The winner of the Road to the Kentucky Derby event will receive 100 points and have his ticket stamped for the Run for the Roses on May 4 at Churchill Downs. FREE Arkansas Derby PPs courtesy of Brisnet.com! I successfully sided with rising star Omaha Beach as the Best Bet in the second division of the Rebel Stakes (G2) three weeks back. While I think very highly of the colt and think he could surely win the Arkansas Derby and more, I will seek for more value this time around as the son of War Front will be vying for favoritism on Saturday. Galilean fits the profile of a horse who could be sitting on a big race at generous odds. Trained by Jerry Hollendorfer, the $600,000 two-year-old purchase has not done much wrong to this point of his career. He has won or placed in all five outings, each of those coming against stakes foes. The California-bred broke his maiden on debut with a neck tally in the Barretts Juvenile Stakes despite running on the wrong lead through the stretch. A neck second followed in the Golden State Juvenile Stakes, and the colt capped his two-year-old campaign with a nine-length romp in the King Glorious Stakes. Galilean defeated inferior competition in the California Cup Derby in his seasonal bow before stepping up in class in his first graded engagement most recently. The bay missed the break in the Rebel before being put into the race shortly thereafter. 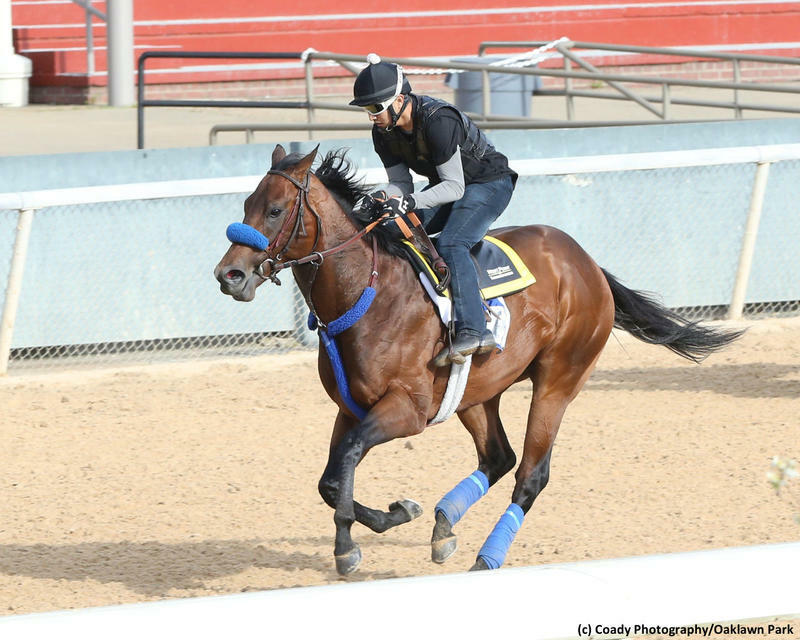 He raced in between horses along the backside and into the stretch in his Oaklawn debut, where he was outmoved by the favored Improbable turning for home. However, the impressive physical specimen never gave up. Galilean stayed on and was defeated by just 2 1/2 lengths in the Rebel despite the less than desirable voyage. The colt has a running style that seems well suited for the 1 1/8-mile distance. He doesn’t own push-button acceleration, per say, but he has good early foot and possesses a very high cruising speed. His draw outside of the favorites is a plus, as well. Hollendorfer has removed the blinkers on his pupil, which is very interesting to me. The bay colt shows a trio of solid morning drills in anticipation of his biggest assignment to date, including a 1:14 and change six-furlong move on Sunday. With three route races under his belt already, he should be dead fit and I expect him to put forth a peak performance on Saturday. I have a lot of respect for Omaha Beach and Improbable, the favored pair in the Rebel, but I will stand with Galilean as my Best Bet of the Weekend.